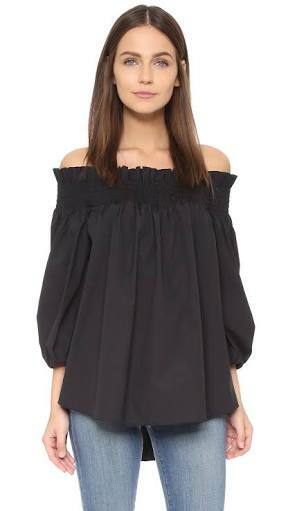 Balloon sleeves are always trending in fashion. To make a balloon sleeves, you'll need more fabrics as compared to the making of normal sleeve. As in balloon sleeve, pleats are added at both sides i.e the shoulder joining region and also the wrist region. 1. Firstly, you measure your arm length, then measure half of your round sleeve. 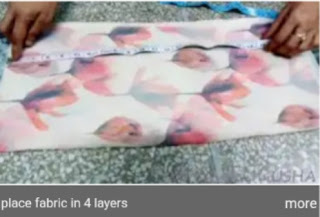 After that has been done, place your fabrics in four layers. 2. On the fabrics, you mark your arm length, with additional +1 inches for your sewing or seam allowance. Cut any extra out. For the width use more inches ranging from 3 inches to 6 inches (Depending on the person's arm or pleats choice). 3. At the bottom, we don't cut in slant manner like the normal drafting of sleeve, because pleats are inserted here. Mark half inch (0.5 inch) for the joining of the sleeve only. 4. From top open side, mark 3 inches (ranging from 2 and half inches — 4 inches) and curve the arm till shoulder length +1 inch. 5. 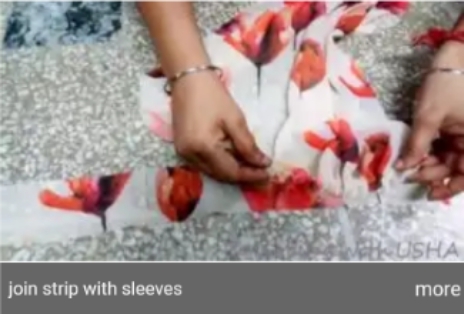 In balloon sleeves, front sleeve deep drafting and cutting is not needed. 1. Cut the armhole curve and slant line. After that, mark its center so that insertion of pleats can be done equally on both sides. 2. Now cut 2 inch wide stripes for arm round also. 2. After that stretch thread and insert pleats/bulges from both side equal to arm round + 1 inch. 3. Also at top, insert pleats by stretching thread from both side equal to shoulder length + 1 inch. 4. 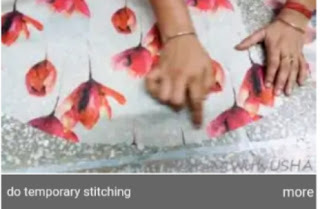 Match right of the strip and wrong of the sleeve and do permanent sewing at arm round. 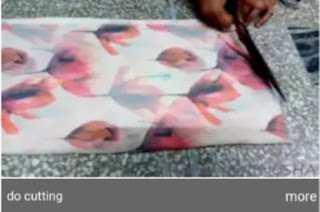 And after that flip it to the right side and double fold it and sew it on recent sewing line in straight manner. 5. Now match sleeves and top’s OR kurti’s arm-round right to right and also center to center for sewing alongside the armhole. 6. After that do fitting stitching and your balloon sleeves top OR kurti is ready to wear. I am a lady in love with fashion, with my passion for blogging, i would be providing the best you need to know about fashion as a whole ranging from dress making down to body beauty, feel free to follow me on my social media.